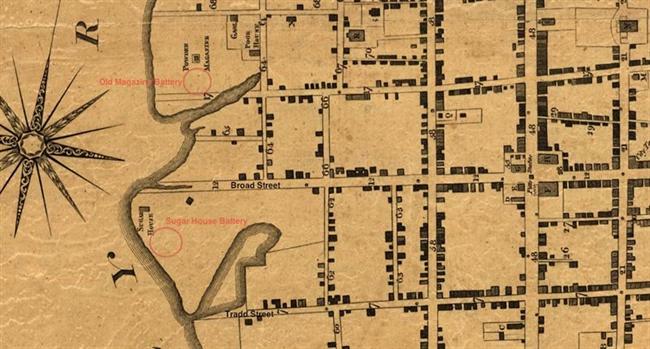 After the British gave up Charleston in 1782, all powder supplies, public and private, were again moved to the Shipyard Creek magazine north of the city. Downtown storage was limited to "only the smallest necessary part in Town Magazine, in order to discharge the city from danger thereof." DeSaussure, Wilmot G. "An Account of the Siege of Charleston, South Carolina, in 1780." City of Charleston Yearbook, 1884. Old Magazine Battery. Note barracks building behind the magazine. 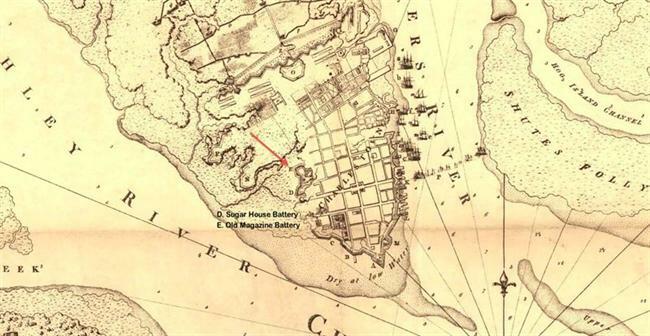 “Old Powder Magazine” in 1788. 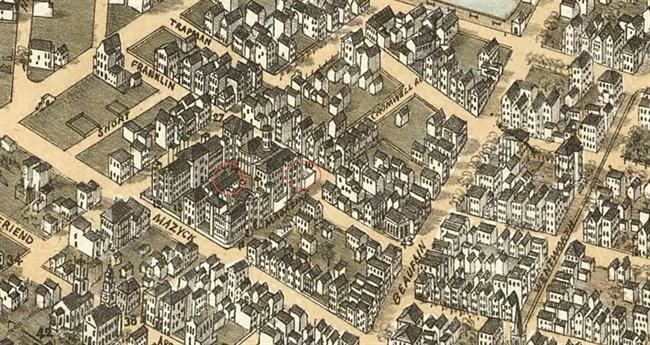 Location of the “new magazine” and the “old magazine battery” in 1872. The fortifications had made way for the City Jail and hospitals.